The Salford Red Devils Foundation have continued to see the benefit of fantastic support from sportswear provider Raging Bull. Raging Bull, who are the official kit provider to the Red Devils have given the Foundation a fantastic boost this season by providing their staff and coaches with state of the art sportswear. In the last year, the Red Devils Foundation has delivered coaching programmes to 117 schools and 11 community clubs across Salford, Manchester, Trafford and Bury, engaging with over 45000 Adults and Children across these regions. 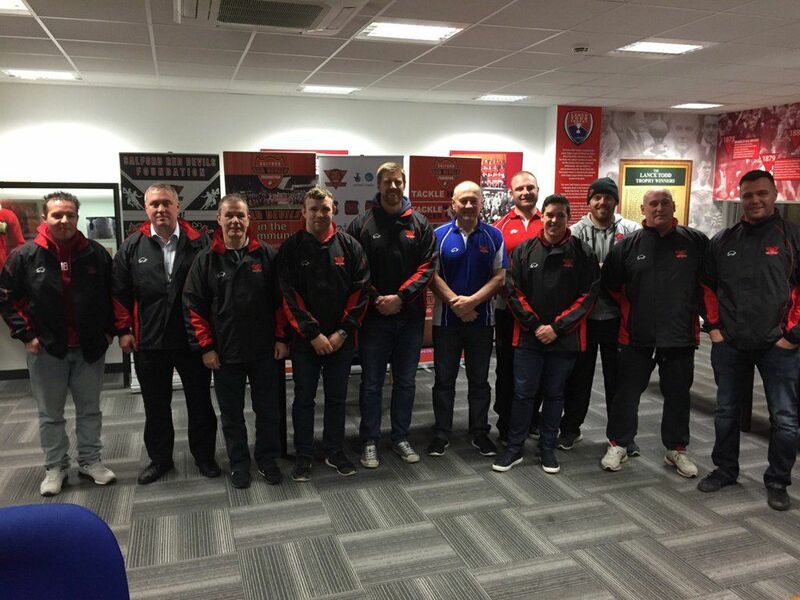 The support of Raging Bull as ensured that the Foundations 22 staff have all the kit required to deliver a high quality and professional service as they work to spread to game of rugby league and be a force for community development in the area. Raging Bull have also provided the kit for the clubs scouting team, who are committed to finding and developing the rugby league talent of the future. The club scouting network encourages young players to engage in amateur rugby league and the clubs ‘Embed the Pathway’ programme, with provides progression into the ‘Rising Star’s youth academy programme.